Training pants are ideal for toddler boys and girls who want to feel like they're wearing 'big girl' pants while potty training and used when accidents are less frequent. 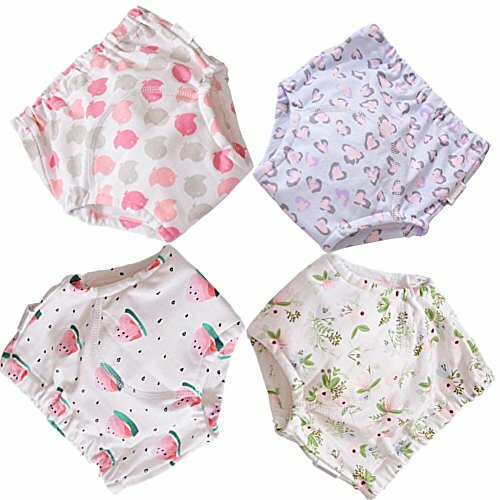 BBPIG Baby Training Pants has been extra padded in the front and back, it's water resistant and better water imbibition than normal underwear. Material： 100% Cotton.Soft material ,more comfortable and healthy! 4 layers absorbent muslin cotton and 1 layers waterproof cotton interlining,So it is more breathable and absorbent! If you have any questions about this product by BBPIG, contact us by completing and submitting the form below. If you are looking for a specif part number, please include it with your message.